This ombre look is just the best. It started with me wanting that ombre hair effect, and it’s been slowly infiltrating my crochet designs more and more. The Bucketful of Sunshine hat is a great example. 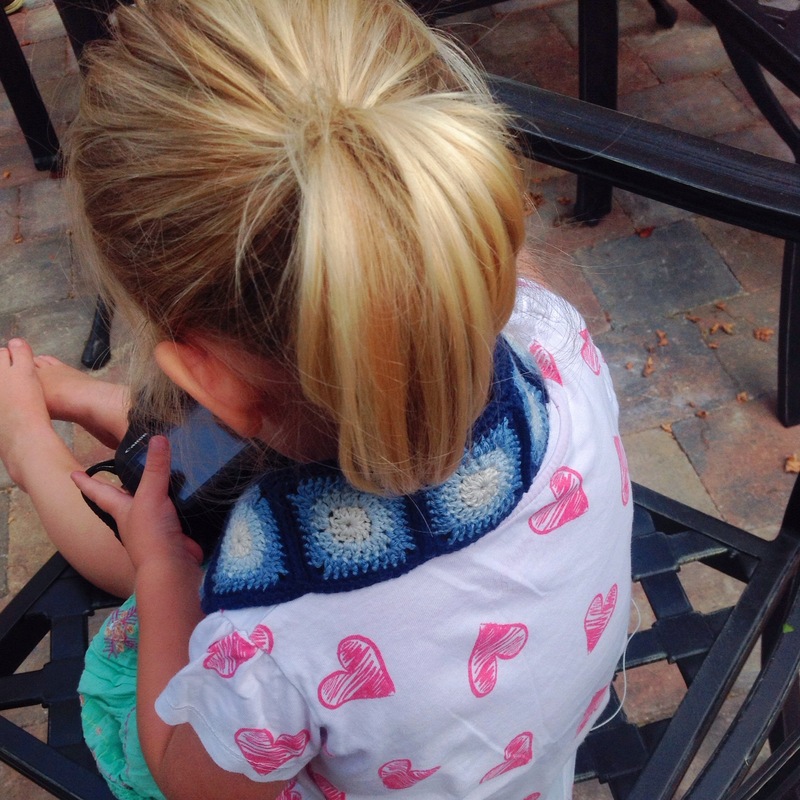 And so is Miniman’s Nursing Necklace. Once I had finished The Miniman I noticed that I had a lot of yarn left over. Usually this wouldn’t bother me as there is always another project, but it seems that my yarn cupboard is completely full of left over yarn that will hopefully come in handy one day, so I just wanted to use it straight away, instead of effectively wasting it. 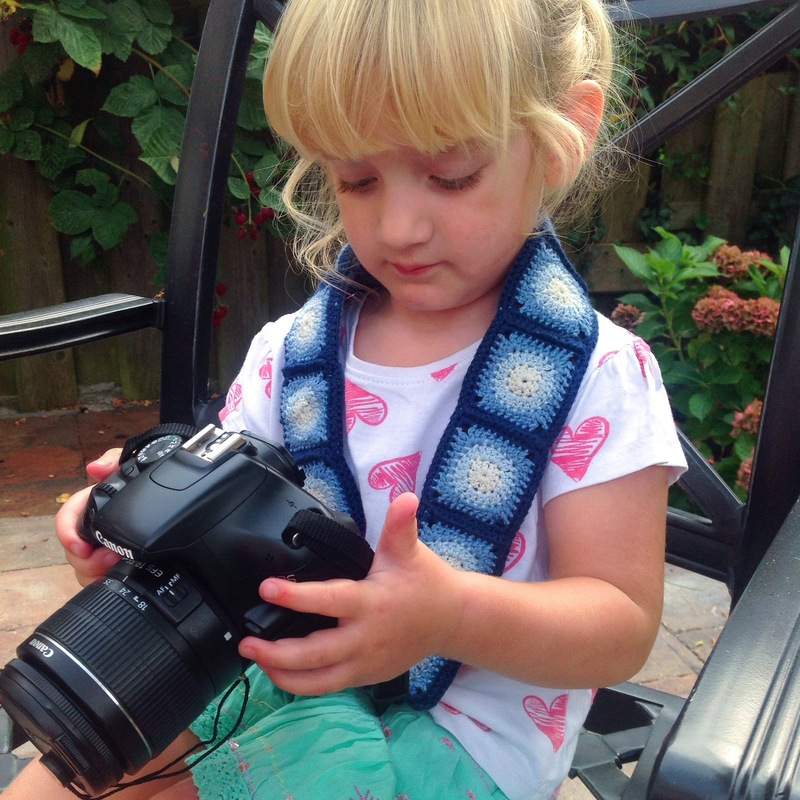 And as I was on holiday I thought I would make a great holiday accessory – a camera strap! 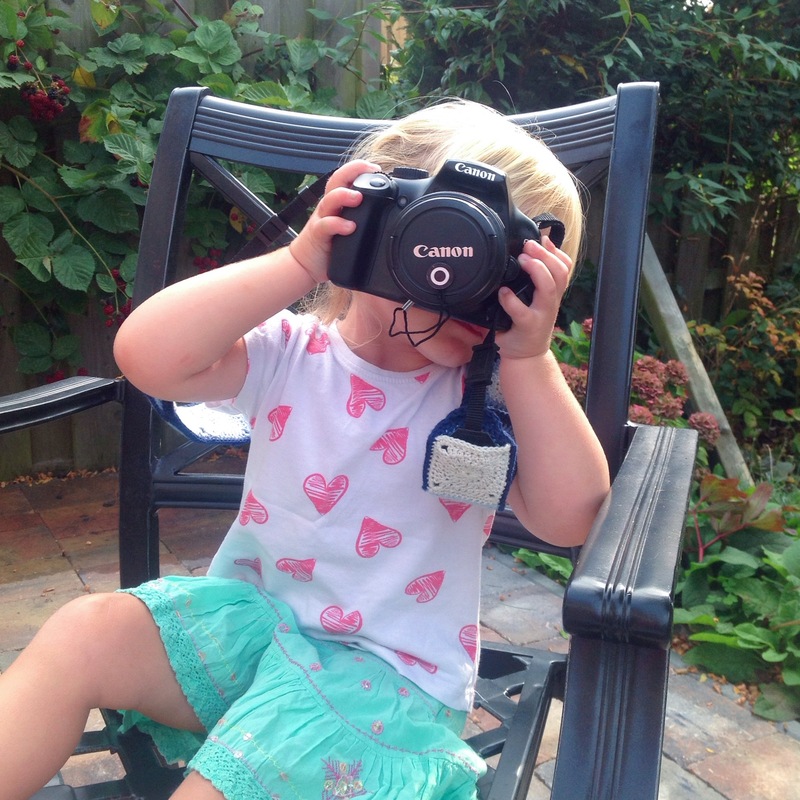 As my photographer friend Rudi says, why give Canon free advertising? I’d been wanting to make one for ages, but hadn’t had the yarnspiration, but now with this leftover Cotton 8 from Scheepjes in ombre shades, I could really go to town! Firstly though, I had to start with a square. But I had no internet on holiday, and hadn’t taken any pattern books with me to the south of France, so necessity being the mother of invention, I designed one! I started with a circle, then turned it into a square and changed colour on each round. 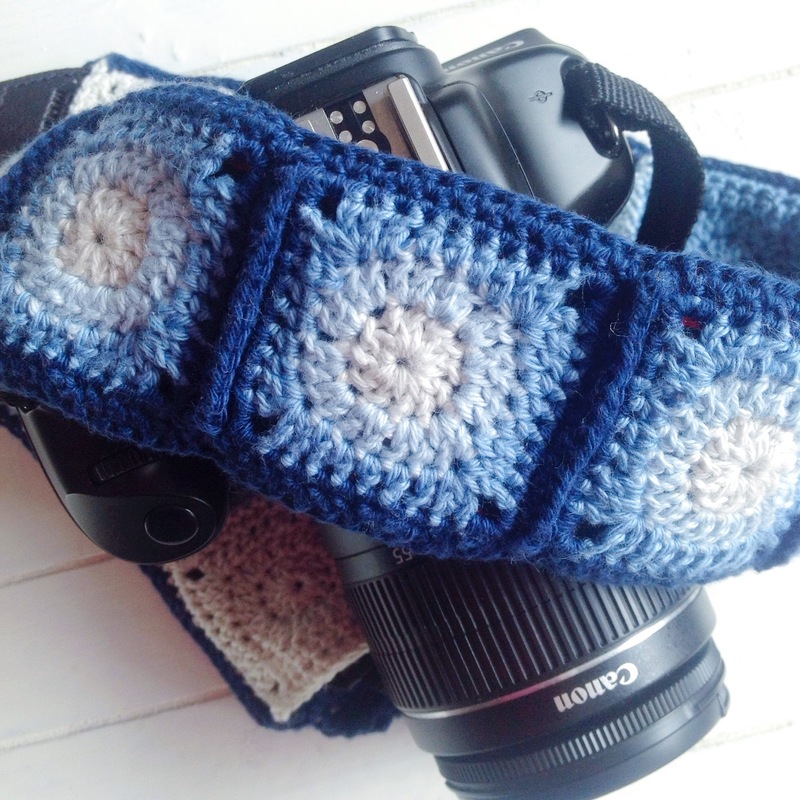 I thought that it would be a great colour combo for my husband (as it’s his camera and I’m not sure if he would really enjoy a hot pink or rainbow strap) so I made a bunch of them. Thirteen, infact. 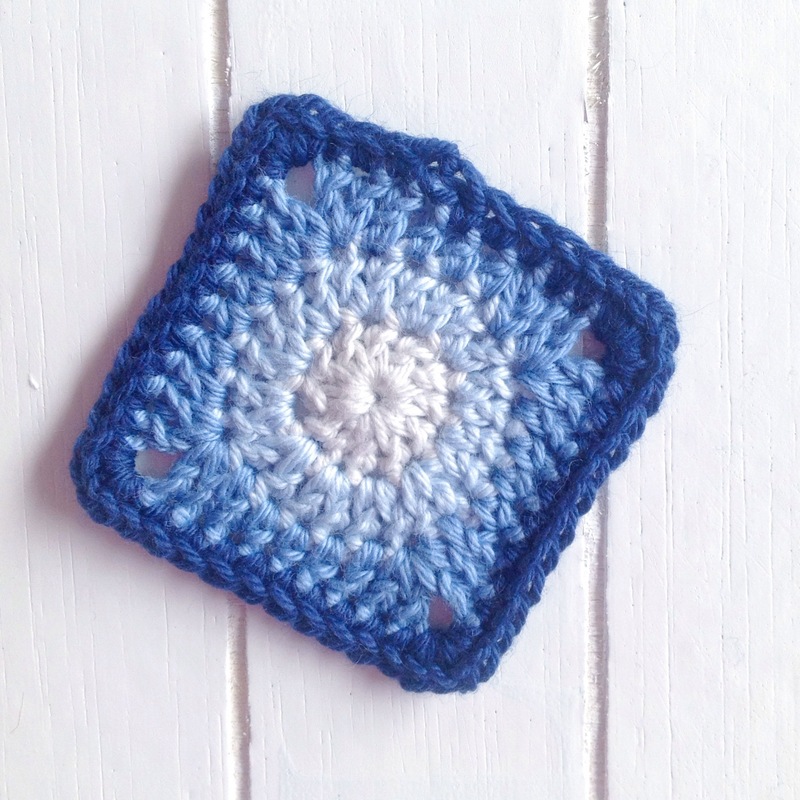 The finished square is 5.5×5.5cm (unblocked) and I single crocheted them all together in a row. 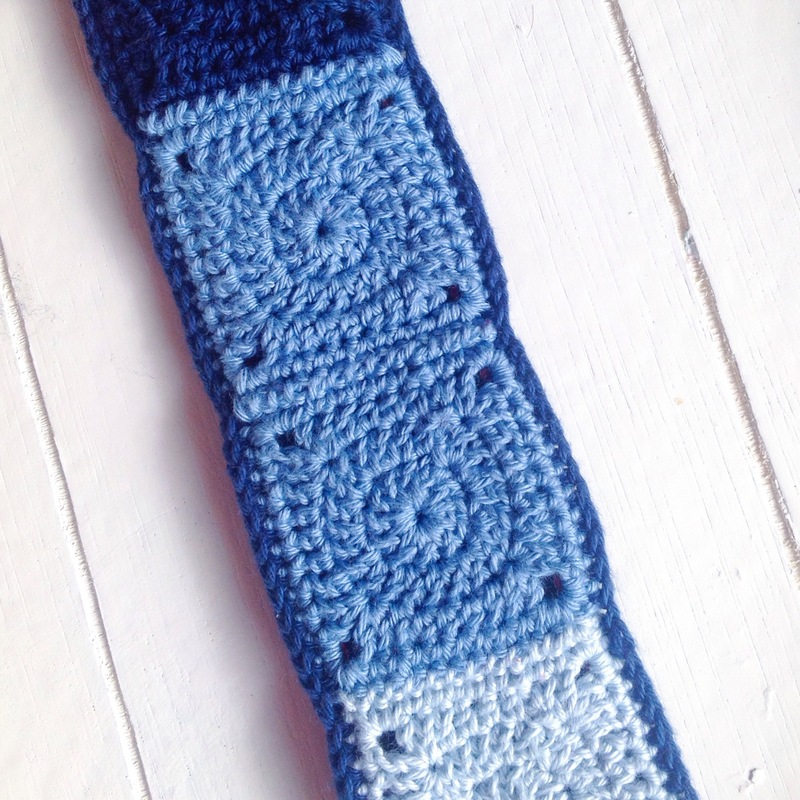 On the back I made solid squares and joined those together, starting with the lightest blue at the outer ends and the darkest blue in the middle (so if it’s a really hot day the manly sweat won’t discolour the strap). It was a great project to work on in the car on the way back – it distracted me from the mad French freeways! 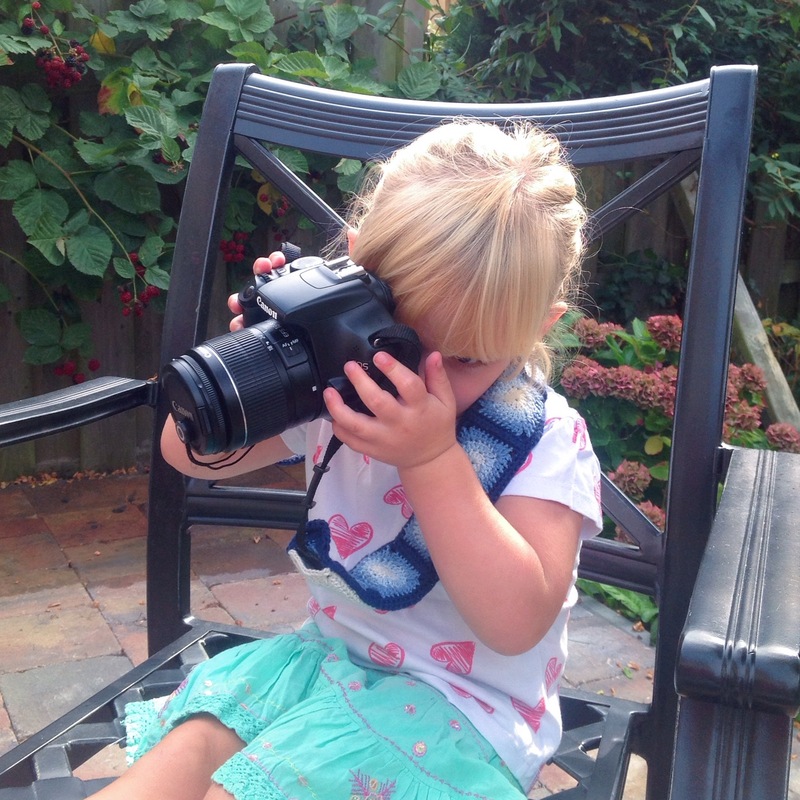 And when I arrived home, my daughter was for once, very happy to model it for me! Come back in a few days, I’ll have a tutorial of the square for you.